My good news is that my internet is finally working reliably again. With such, I’ve finally watched the second episode of “Have Few Friends.” where Sena won me over. After all, she’s in truth, a girl who loves video games, and a girl after my own heart. If she weren’t so smug, maybe she could be my 2D BFF. Stop saying witches don't exist Naoto, who care what she is? She's hot. Erm, why is she laughing like that? Yeah yeah, my rushed gimp skills could be better. Point is, for what Umineko was being crammed into, it was a decent adaptation. There are a lot of terrible adaptations out there if people want something to whine about. There’s a billion novels turned into movies, and heck, just watch Disgaea (although admittedly fab Prinnys) and get back to me. When it comes to Persona 4 The Animation, I’m of three thoughts. 1.) It’s not perfect. 2.) They have changed things. 3.) Episode 2 was damn fantastic. Okay, so apparently I’m a horrible person for watching this and not the 1999 version. Considering I was six in 1999, when watching this was popular I had no idea how to torrent, and no idea where to find the 1999 torrents, I’m not concerned. 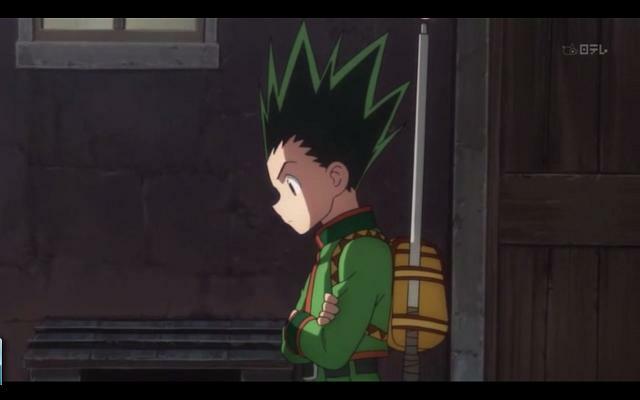 True is, even if the original is superior, this is by far the best shounen anime I’ve seen in the past couple years. I’ve seen the title of this translated to “I Have No Friends” and “I Have Few Friends”. I’m trusting “I Have Few Friends” unless someone can confirm for me it’s something different. This show was something that was right up my ally, but at the same time I was expecting this to be barely tolerable fanservice parade. To my surprise, I actually enjoyed it a lot. Flawed, yes, but still a fun ride. Tagged as I like the main character, what are friends? 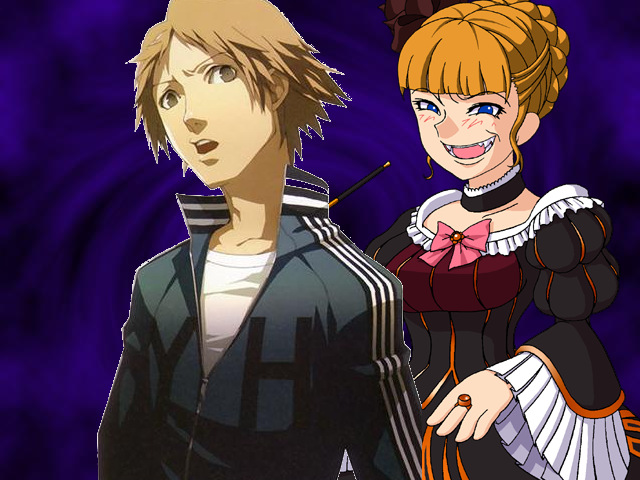 Now, I’ve played 3/4 of Persona 4, so I do have some knowledge of the game. I actually did enjoy the first episode. Had some gripes, but from the way I’ve heard some people carrying on, it sounds like the first episode is an nonredeemable mess. Oddly enough, it seemed pretty enjoyable to me. I have no idea what the Persona 4 fans are mad about. I already know the obvious, that the game has to be cut down and presented in a different way, so maybe my expectations happen to be different. Oh yes, the quality animators of Persona 4 are boycotting? 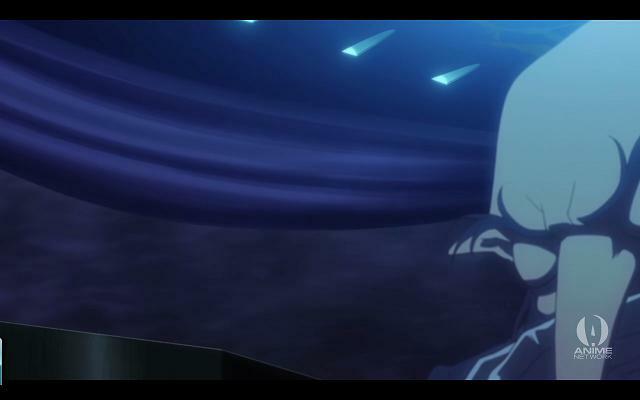 Maybe the quality animators of Umineko need work. This version of Igor is either drunk or hungover. Or both at once. Following the end of the very popular Madoka, there were two spin-off mangas released, as I suppose it was thought that wasn’t enough lesbians dark magical girls out there, and a lot of money to soak out of people. Question is, are they actually any good? Now that I’ve read both, I’ll talk about what I thought. These reviews cover the first volume of both. Of course, one thing that really stands out from the manga is there no longer is the wonderful Shaft animation that gave Madoka it’s surreal and disturbing edge. 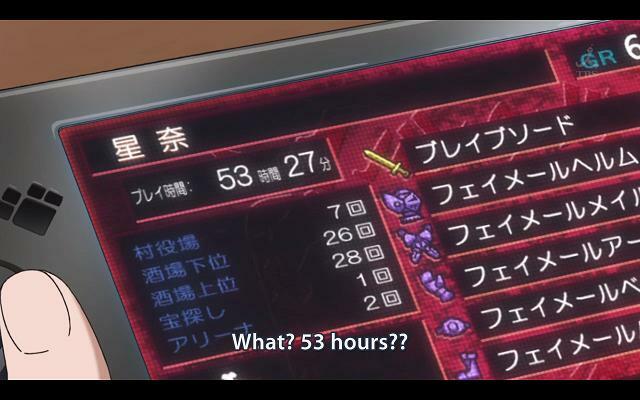 Not that I expected it to reproduced in the manga, but it’s something I really noticed once it was gone. Kazumi follows the mythology of the world Madoka, but except for a picture of Madoka and Kyubei mucking around, makes no reference to the series from which it comes from. Instead, there’s a whole new group of magical girls. The series is honestly a little off-putting to me when I first started reading. The main character has amnesia, a huge cliche, and then things start happening that don’t fit into the mythology of the world. It’s one of those things it turns out, the reader just has to ride out. One thing I liked is that there is an example here of girls wishing for dumb or flat out selfish things, where as in the series of Madoka, the wishes were always huge wishes, usually for others. In this, there is one girl who wishes to talk to animals, another to find an agent for her writing. Much different world. It is flawed. Way too many characters are introduced in the first volume, and when it gets really interesting, the first volume ends. In the end, this feels like a fun fanfic rather then a serious addition to the Madoka universe. 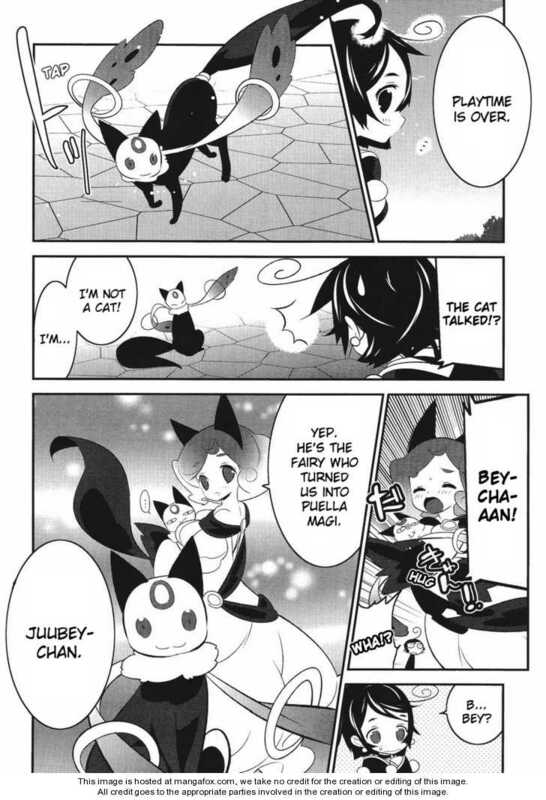 Favorite part is the introduction of Juuybei, Kyubei's nicer clone. Now if you want more of the same, Oriko is where you look. Not only does Oriko feature Kyouko and Mami, but it also has the dark ‘dog eat dog world’ mentality seem in the series. All the new characters introduced in here are fabulous, with the two creepy as hell Puella Magi and Kyouko’s adopted loli. She's adorable. She's also has the mental state you'd expect to have to be able to think Kyouko is the best thing that has happened to her. 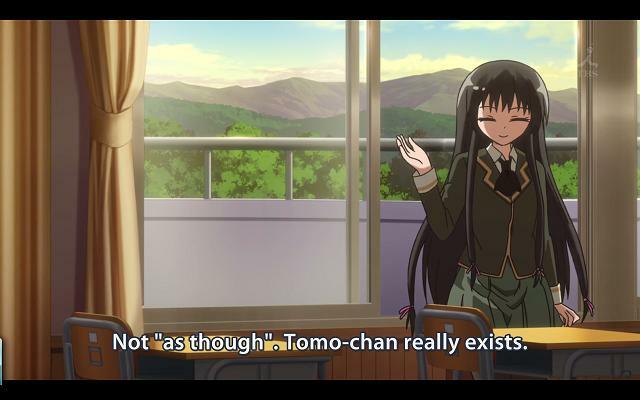 This is an alternate world that Homura will end up restarting. 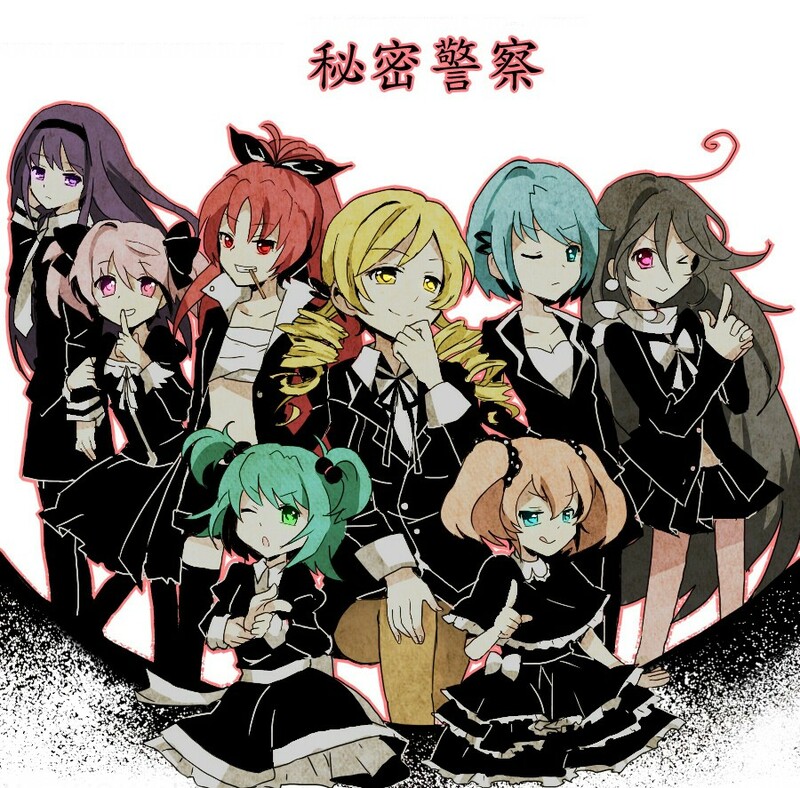 In this world, Madoka and Sayaka never knew about the world of Puella Magi, Mami kills Charlotte, Mami and Kyouko are allies, and there is something mysterious killing off the other Puella Magi. Homura also makes a cameo where she threatens Mami–and is scary as hell doing so. Oriko is only going to be two volumes, but it’s set itself up to be a well done spin-off. The art takes a bit to get use to, but I love it. Especially how Mami is drawn. Between the two, I think Oriko is the superior one, but Kazumi is by no means bad. Just know what you’re getting. Oriko is more the same, Kazumi is more humerous and Madoka ‘lite’. The fortunate thing is at this point, neither is terrible and both are an enjoyable read, which seems to beat all the odds the series had against it. If you’re a fan of the series, giving at least one of these a shot is something I recommend. 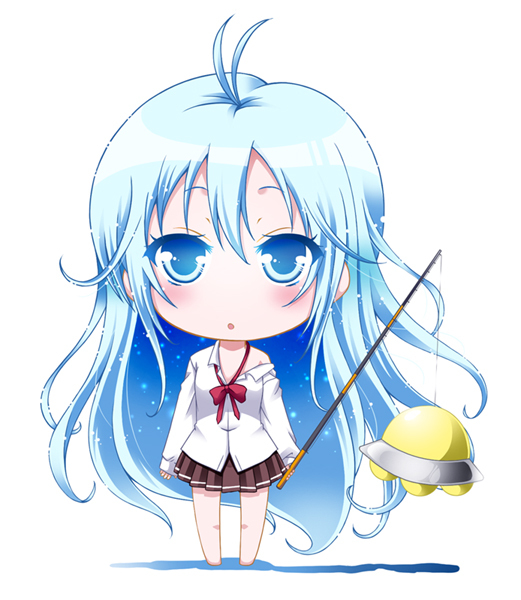 One of the anime I’ve been fascinated with this season is Denpa Onna to Seishun Otoko. What fascinates me is the portrayal of one the main characters, Erio, who thanks to a trauma she’s suffered, has become mentally unstable and a shut-in, as well as the interactions of others to cope with the instability the haunts her. Denpa Onna is far from perfect, but other animes that have approached the topic (Rozen Maiden, Welcome to the NHK) aren’t either. These other animes have chosen to also focus on people who became hikkomoris, while Erio’s insanity goes much further. Of the attempts I’ve seen, it’s the one that strikes a chord with me (someone with my own personal mental unstability) the most strongly. 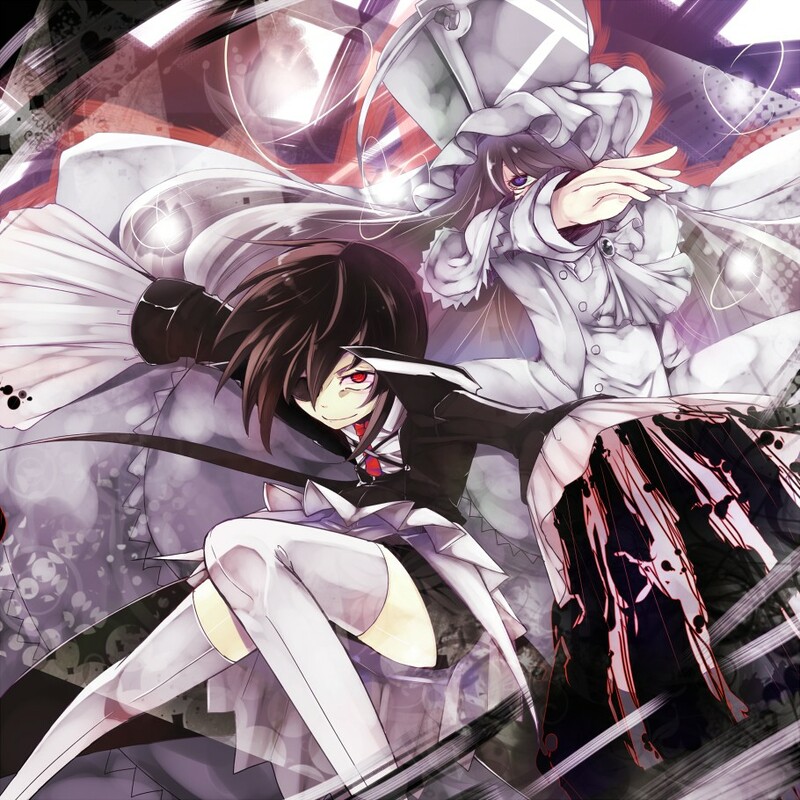 While I was watching Madoka, I heard it compared to Bokurano, which I have enjoyed immensely. So when I saw Bokurano volume 1+2 at the library, I instantly grabbed it up. Upon completeling the two volumes, I then looked for the scanlations online, as I really wanted to know what would happen there. 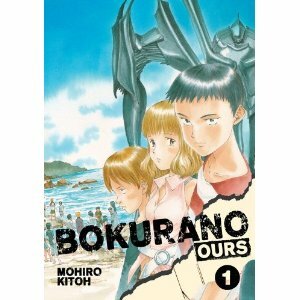 Bokurano, while comparable, is nothing like Madoka, and a manga series that I’d say is almost if not completely original. I don’t think I’ve ever read anything like it. It also turns out that while there is an anime, the story of Bokurano takes a different turn halfway through, so the manga of Bokurano is a different experience then the anime. Summery: 14 boys and girls, meeting at Nature School, sign up to play what the merely think is a game. That game turns out to be all to be real, however, whenever they discovered they’ve signed a contract in which they are given the chance to pilot a giant robot and protect the earth from an invading alien. The catch is the robot gets it’s energy from it’s pilots, and kills them after they finish piloting. However, they don’t have much choice. If they lose the battle or don’t fight, their planet will be destroyed. In this manga, it’s pretty obvious from volume 1 that every main character will die. 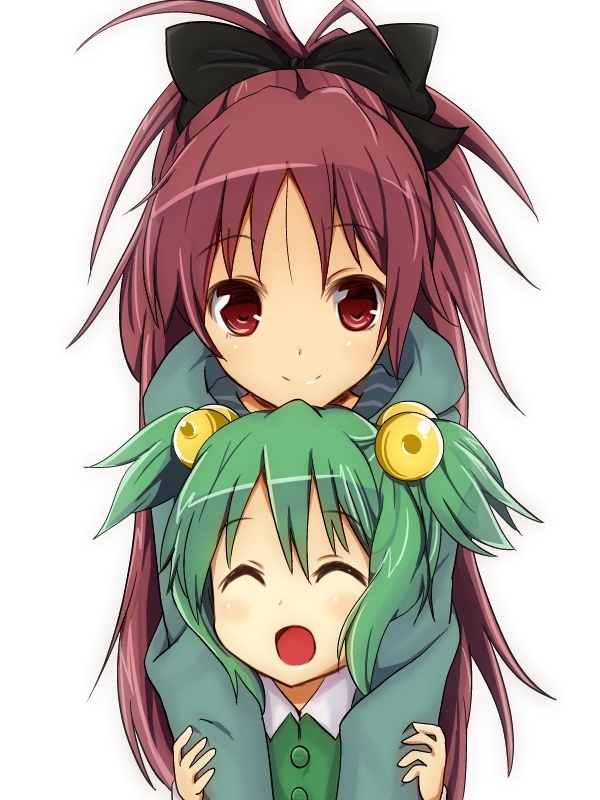 The main difference between Bokurano and Madoka is this. Madoka is a story-driven work for of metaphors. Bokurano is more physical, straight-forward, and character-driven. It asks the questions “If you could save the world at the cost of your life, when you’re young with your whole life ahead of you, would you?” and “If you knew you were going to die, how would you spend your last days?” and let’s the characters answer it with a wide variety of answers. As the story changes from character driven to slightly more story driven, the questions the characters have to answer become harder ethical questions, while at the same time the world has to cope with the sudden appearance of a giant robot wrecking buildings and killing people. Things have finally come to an end, and I personally enjoyed the ending. However, I still have a lot of thoughts bouncing around that will all be covered here. He is one of my favorite characters ever. Everything up to when Madoka *beeeeeeeeeep* was awesome, and just, the little guy and all his manipulative ways has really grown on me. Although at the end of episode 12, I didn’t like Kyubei as much, but still couldn’t help thinking the only reason he was that way was due to the fact that it was the behavior that was the most productive to getting what he wanted…I will never see a magical girl mascot the same way again. Tagged as i kinda like writing about madoka, Oooh Look at the cute animal mascot!